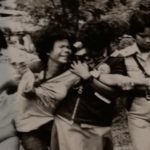 MANILA, Philippines – Victims of human rights violations during the Marcos regime have asked the anti-graft court Sandiganbayan to forfeit in their favor part of the Marcos family’s art collection. This is to cover the $1.966 billion awarded to them by a United States jury in 1992, and the $353-million compensatory judgment by the US District Court of Hawaii in 2011, they told the court. The 1992 ruling was based on a finding that the Marcos regime “committed torture, summary execution, and forced disappearances” against the 9,539 petitioners. 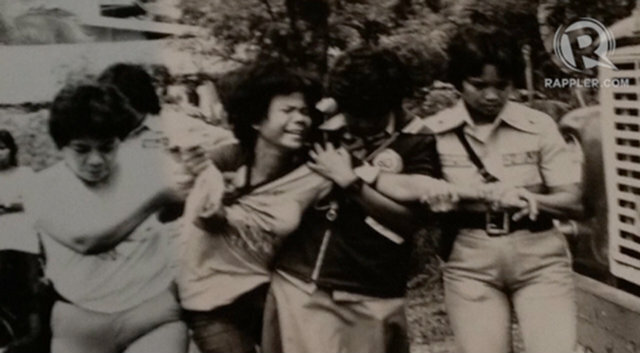 In their Motion for Intervention and Complaint-in-Intervention filed with the Sandiganbayan’s Special Division on April 11, intervenors Zenaida S. Mique and Hilda B. Narciso said they are representing the victims of human rights violations that won the original class suit against the Marcoses in Hawaii. They clarified that the intervention is limited to the claim of the government over the same art collection covered by the Motion for Partial Summary Judgment filed by the Presidential Commission on Good Government (PCGG) on on February 24, 2016. The group informed the Sandiganbayan that the Philippine government has already waived its sovereign immunity and submitted itself to the jurisdiction of the US Federal Court in New York City in May 2014 concerning a separate lawsuit. This is to recover some 200 pieces of paintings and other artworks allegedly purchased with public funds between the 1970s to the 1980s. This means that the government removed a legal obstacle to enable human rights victims to collect compensation in the event that the US court ruled in their favor, and against the Philippine government and the Marcoses who are also claimants to the art collection. According to the group, the District Attorney of New York has already seized two paintings purchased by Mrs Marcos and another $15 million proceeds from the sale of another painting recovered from the position of Vilma Bautista, a former aide of Mrs Marcos. “The New York Country Supreme Court ruled the seized property was in custodial egis. The 150 pieces of artworks are virtually all included in the list identified in the 2012 case against Bautista. Herein intervenors have a legal interest in the subject matter of the (government’s) Motion for Partial Summary Judgment,” the human victims rights said. They added that such interest would be adversely affected if the court should grant the government’s petition and forfeit the Marcos art collection in favor of the state.